Blog #4: The nature of organizations has changed, and the leaders they require in the future will be fundamentally different from those they require today. It is time to recreate leadership for the requirements of the modern organization. Over the years, serving as a management consultant and as the corporate lead in charge of executive development, I have assessed and developed thousands of leaders, most of whom were either preparing for or already in significant global assignments. Working closely with these individuals, I have learned that there are certain notable traits that distinguish those who hold global positions from those who are truly (deep in their being) global leaders. Interestingly, the differences have little to do with age, gender, where they were raised or schooled, and not even the kind of “on the job” training they received or the number of countries stamped in their passports. These are certainly important factors that contribute to one’s ability to do global work; they provide the playground in which budding leaders can learn and grow, but they do not make a global leader. What I have found is that the true differentiating qualities are more psychographic than demographic in nature. An unusually astute sense of self translates into an ability to understand the world and the people around you on many levels and in many different contexts. 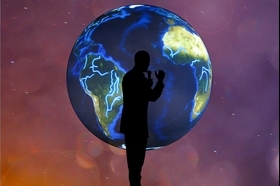 Purpose to ‘change the world’ coupled with a powerful strength of conviction keeps leaders pushing forward even in the face of obstacles or when pressured by others to do something else, while never forgetting their responsibility to satisfy the needs of the board, shareholders, customers, or employees. Recall how N.R. Narayana Murthy, one of the co-founders of Infosys Ltd., the Indian-based business consulting, technology, engineering, and outsourcing services company, stood up against political corruption in his home country to change the way business was done in India. Many of the truly exceptional leaders I have worked with possess a rare capacity to rapidly absorb, synthesize, and organize information that helps them understand the world around them, even when that world is radically different from what they have experienced before. Almost simultaneously, they are able to use that new worldview to determine how best to lead themselves and their organizations going forward. This multi-level processing enables them to respond more quickly and effectively to market changes and opportunities. The ability to make connections and interconnections across industries, technologies, markets, and geographies is an incredibly important skill for the global leader. It is essential to the process of developing strategies and collaborative relationships that keep a company, even an entire industry, relevant over the long term. 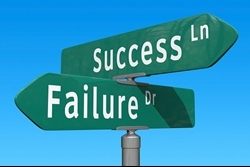 Another essential trait is in knowing when that which has worked in the past is destined for failure going forward. The dilemma faced by many leaders is that when they find a good model, say Dell’s “Build it to Order,” they have a hard time letting go. For global leaders, this dilemma is amplified, given the need to operate multiple business models simultaneously around the world. 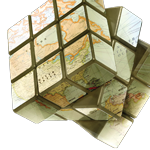 Truly global leaders need the intellectual acuity to know what to keep, what to destroy, and what to recreate across their organizations, in order to remain relevant to myriad markets and constituents. More importantly, they need the emotional intelligence and the mettle to take action, especially when what must be destroyed is exactly what made them successful in the past. Consider how LEGO dramatically undertook an aggressive diversification plan (i.e., changed its business model) expanding its business beyond the traditional interconnecting building blocks to include a new line of clothing, theme parks and video games to improve revenue and capture greater market value. 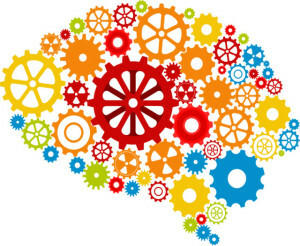 While more of an operations focus and engineering mentality may have been successful in the past, today’s leader needs to be more of an inventor and an experimenter, willing to try out a new idea (a hypothesis) and recognize that failure (disproving the hypothesis) can be just as valuable, if not more so, than when the hypothesis turns out to be correct. Experimentation is a critical component of the reinvention process—whether you are reinventing a product, a solution, your business model or organizational structure, and even an industry platform or standard. Today’s leaders need to see their corporations as if they are part of living systems, in which the success of the individual is dependent upon the success of the larger whole. In the business world, they understand that the success of the corporation is dependent upon the success of the broader ecosystems. 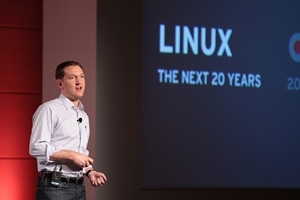 For Jim Whitehurst, CEO of Red Hat, improvement of his company’s core product, Linux software, depends on cooperation among software developers around the world far beyond those on Red Hat’s payroll. This approach is in sharp contrast to the more common economics of scarcity in which something of value is protected by copyrights and is only available to those willing to pay for it. In Whitehurst’s world, value is actually created by maximizing access, which increases the size of the brain trust working on a given problem. This approach, long lauded by the free software movement, can yield unprecedented results. Today’s leaders also need to not only learn to live with, but also to appreciate, messiness on the outer edge of their organizations. This requires co-existing in two worlds, one that is more reminiscent of the past, where a certain level of control and oversight is important to drive today’s performance expectations, and another where the leader sets the vision and then gives permission to those working on the edge to self-organize and find solutions—often to problems that have not even been considered or created. By understanding and balancing the needs of both worlds, leaders can help their organizations stay profitable today, which can help financially support innovation for the future. To do so, leaders need to be comfortable with the messiness inherent in a knowledge (versus industrial) economy. Leadership, especially at a global level, has a tremendous capacity to change the world, for good or for bad. Unlike industrial age thinking that at times disregarded or diminished the importance of environmental and social responsibility, leaders today need to be much more aware of the impact their operations have and are adjusting processes and policies to promote sustainability. Growth going forward must depend upon business models that support sustainability: of communities, of workforces, of the environment. For many businesspeople, a word like empathy seems too soft for the fiercely competitive, results-driven world in which they live. But empathy can yield some very tangible business results on many fronts, from employee engagement to product design to identifying new market opportunities. The author would like to thank Karen Conway for her contribution to prior materials that inspired the content of this blog.